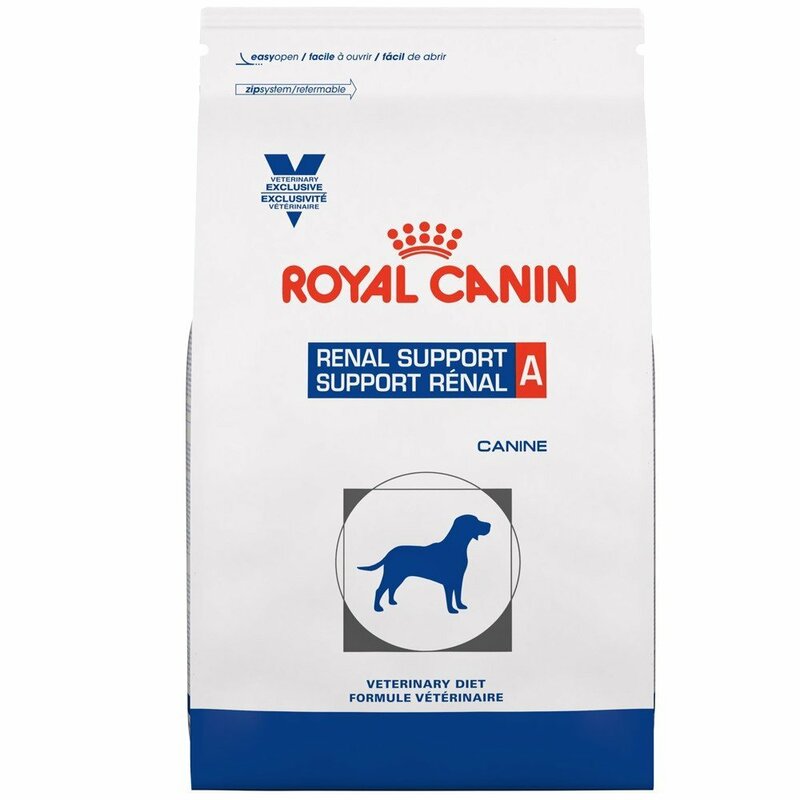 Renal Support A dry is a high energy and highly digestible diet for dogs that has been formulated with low protein and low phosphorus levels. Nutrition to Support Renal Health - Formulated with optimal nutrient levels, including low protein and phosphorus, a complex of antioxidants, and EPA/DHA. Aromatic Choice - Customized palatability profile designed for individual preferences. Brewers rice, chicken fat, corn, corn gluten meal, natural flavors, dried plain beet pulp, wheat gluten, fish oil, powdered cellulose, vegetable oil, potassium chloride, salt, calcium carbonate, psyllium seed husk, sodium silico aluminate, fructooligosaccharides, L-lysine, DL-methionine, choline chloride, vitamins [DL-alpha tocopherol acetate (source of vitamin E), L-ascorbyl-2-polyphosphate (source of vitamin C), biotin, D-calcium pantothenate, vitamin A acetate, niacin supplement, pyridoxine hydrochloride (vitamin B6), thiamine mononitrate (vitamin B1), vitamin B12 supplement, riboflavin supplement, vitamin D3 supplement, folic acid], trace minerals [zinc proteinate, zinc oxide, ferrous sulfate, manganese proteinate, manganous oxide, copper sulfate, calcium iodate, copper proteinate, sodium selenite], magnesium oxide, taurine, L-tryptophan, marigold extract (Tagetes erecta L.), rosemary extract, preserved with mixed tocopherols and citric acid.